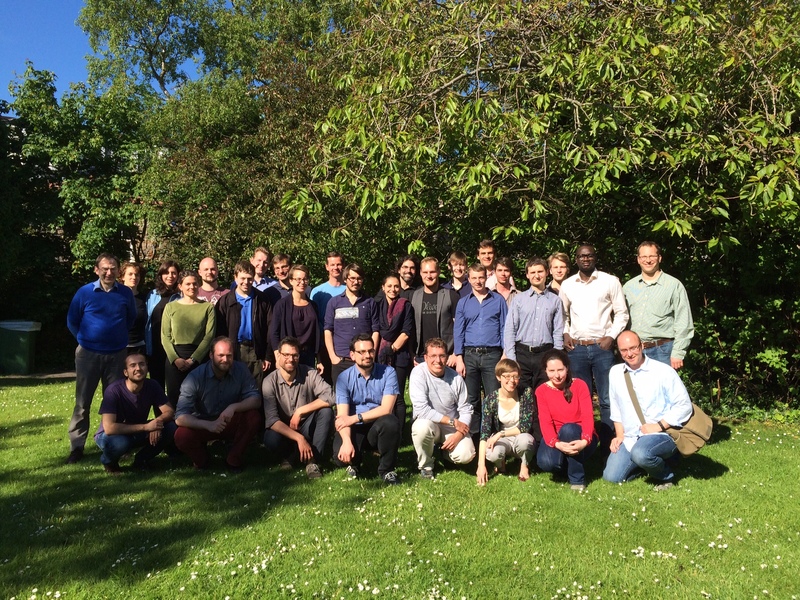 The 4th GRAINES Summer School will be hosted by the University of Cologne in June 2016. The theme is “Dividing the World? Imperial Formations in Continental and Maritime Empires from the 17th to the 21st century”. We will post the exact date, further information and a call for applications here soon. The third GRAINES Summer School is under way until Thursday 10th June! You can follow us on Twitter #GRAINES2015 or on our website. Graines is delighted to promote the work published by two PhD members of the University of Cologne, Alexander van Wickeren and Pascal Schillings. How can spaces, objects and knowledge be integratively analysed in historical investigations? New answers and perspectives can be found in “Spaces – Objects – Knowledge. An Integrative Perspective on Recent Turns in Historical Research”, the upcoming focus of the journal Historical Social Research. For a foretaste, check the introduction written by Pascal Schillings and Alexander van Wickeren on academia.edu. We are pleased to announce that our network has started to support research mobility for our PhD students. Basel, St Andrews and Sciences Po are now linked through the work of their doctoral researchers and more projects will soon enjoy the variety of our institutions. The Centre d’Histoire de Sciences Po has just welcomed Ousmane Seydi from Basel. Ousmane will be staying until January 2015 under the supervision of Roberto Zaugg. His work examines the circulation of scientific knowledge in Senegal. From September to December 2014, the Basel Graduate School of History welcomed Jordan Girardin from St Andrews. Jordan’s thesis is an entangled analysis of the Alps between 1750 and 1830, focusing on travel and transnational routes. This semester has allowed him to broaden his historiographical knowledge, to take part in the department’s conferences and seminars, and to travel through Switzerland and France to collect primary sources. Jordan is currently finishing up his research in Alpine archives and will present his work in Basel next week during the Themennachmittag “Vorstellungen von Naturräumen”. The Basel Graduate School of History (BGSH) is offering three 1-year starter scholarships, each worth CHF 25,000 (approx. EUR 20,000, in two tranches with evaluation). Their purpose is to support graduates during the starting phase of their doctorate while the scholars are developing their research project and submitting it to the Swiss National Science Foundation, or other funding institution. An international conference on “Beyond modernity. Transepochal perspectives on spaces, actors, and structures” will take place in Basel on 28-29 November 2014, organised by the Basel Graduate School of History (BGSH) and the Institute for European Global Studies. By looking at the interplay between longue-durée approaches and postcolonial theory, this conference raises the question of whether “transepochal” perspectives can be rediscovered without adopting the normative assumptions that deeply affected the tale of modernity. The conference is organised within the context of the Annual Meeting of the BGSH. GRAINES members are warmly welcomed to participate.